It is a very early spring in Seattle. 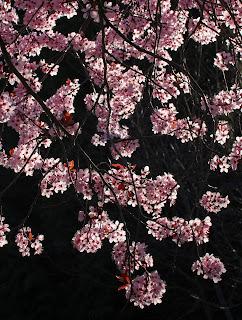 Plum blossoms have been out for a couple of weeks, and cherries will be soon to follow. Last year the tree buds and early blossoms waited until the end of March to stage an appearance.